Pumpkin is one of the foods with the highest amounts of beta-carotene, which the body converts into vitamin A. A cup of pumpkin gives you nearly 200% of the recommended daily value. Vitamin A helps you to ace your health: It promotes the health of lungs and reduces the risk of lung cancer. The nutrient also helps to prevent degeneration and cataracts of the eyes and prevents the oxidation of cholesterol in the body, promoting cardiovascular health. The anti-inflammatory properties of the fruit can also help to reduce severity of symptoms if you suffer from asthma or arthritis. The pulp and the seeds of pumpkins are rich in magnesium, which is required for bone and tooth health. Pumpkins contain plenty of water and dietary fibres to flush out toxins and keep your body running smoothly. Fibre helps to speed up food transit through the gut and reduces the exposure of colon cells to carcinogens. It also helps to eliminate carcinogens from the body, reducing risks of cancers. Pumpkins have a powerful antioxidant capacity due to the high content of vitamin C, which helps to boost your immunity. Vitamin C also encourages collagen production for the skin to maintain its beautiful glow and elasticity. Common infections such as sore throat, colds and the u will stay away when pumpkin is regularly included in the diet. Regular intake of pumpkin can help to stabilise your blood pressure. 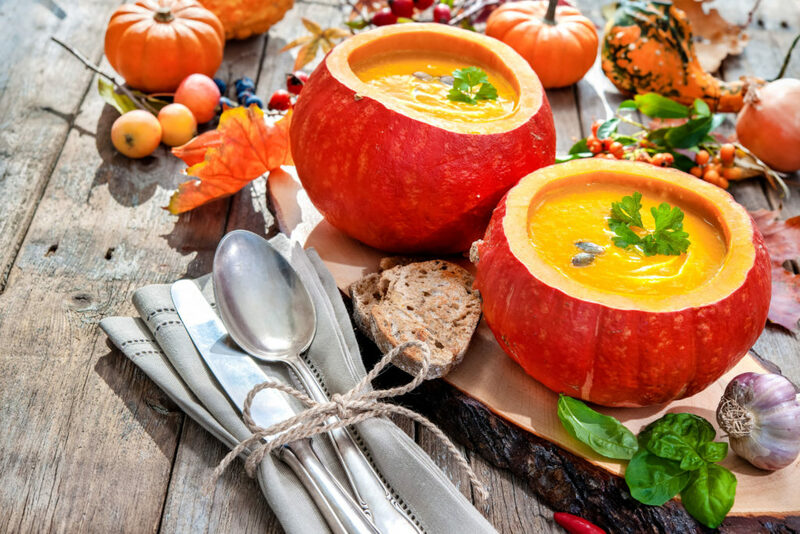 Pumpkins, especially their seeds, are packed with important minerals such as potassium and magnesium, which help maintain healthy blood pressure and keep heart diseases and strokes at bay. A quarter-cup of pumpkin seeds contains about half the recommended daily amount of magnesium. Pumpkins are rich in folate, which helps to break down homocysteine (a harmful by-product of metabolism which may damage blood vessel walls), reducing the risks of heart attacks.